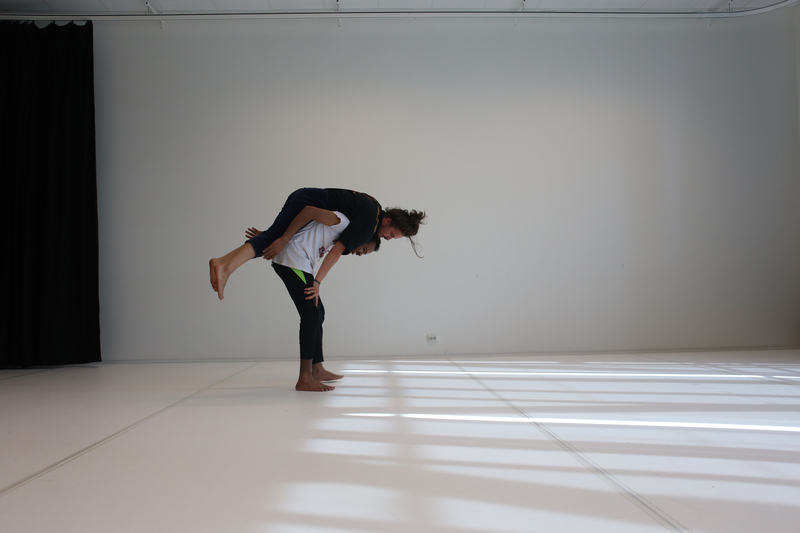 Tomorrow’s Witnesses is a dance/theatre project that speaks about the impact of war on the individual and what it means to be forced to leave your home, your family or your country because of warm greetings. Tomorrow’s Witnesses bridges stories from World War II to the present, from the forced evacuation of Finnmark and the scorched earth campaign that followed, to the stories of refugees who have recently fled from war and conflict in other parts of the world. By listening to stories from our past, we get a better understanding of the present so we can build a future together. 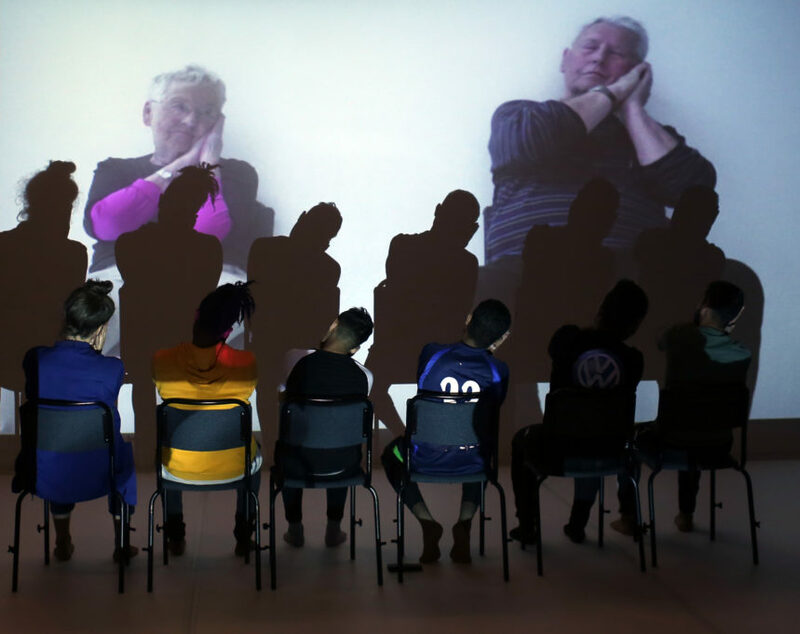 The project brings together elderly that survived the Second World War with the forced evacuation and scorched earth campaign of Finnmark and young refugees that have come to Finnmark from wars and conflicts in other parts of the world. 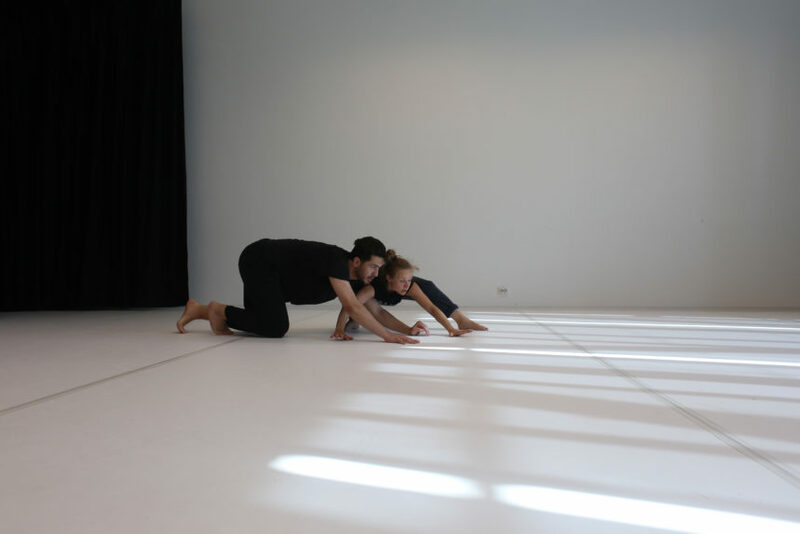 Together with a team of professional dancers/performers they created a poetic, visually delicate performance led by the choreographer Benno Voorham. 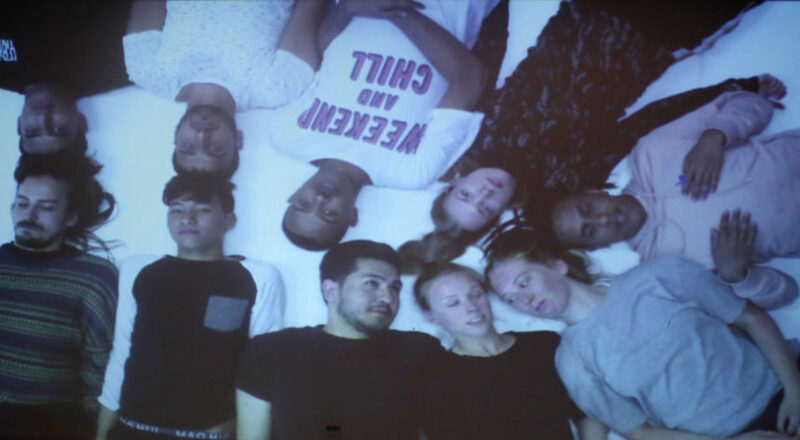 The project started in 2017 when Benno Voorham and Solveig Leinan-Hermo from Stellaris Dance Company visited schools for newly arrived young refugees and elderly centres in Hammerfest and Kirkenes to meet with people who have survived war. 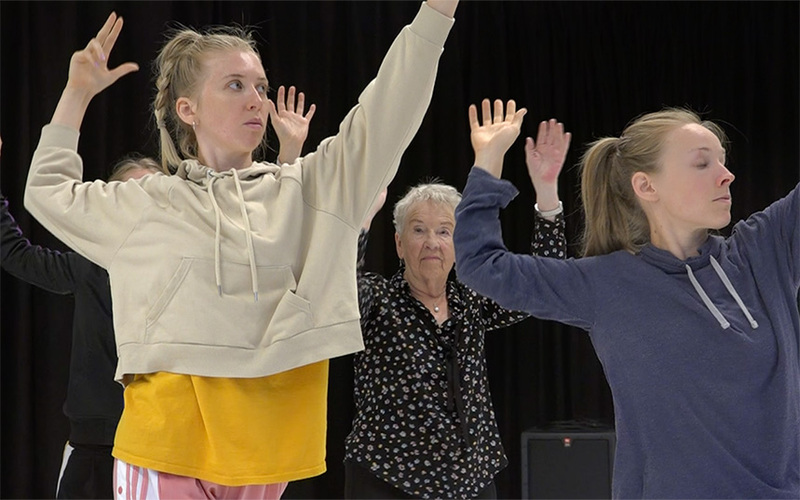 In 2018 the project started with an initial period with open workshops in dance improvisation and movement-based theatre to culminate in this performance that is based on the stories, dreams, memories and reflection of both the elderly, youngsters and professional team. 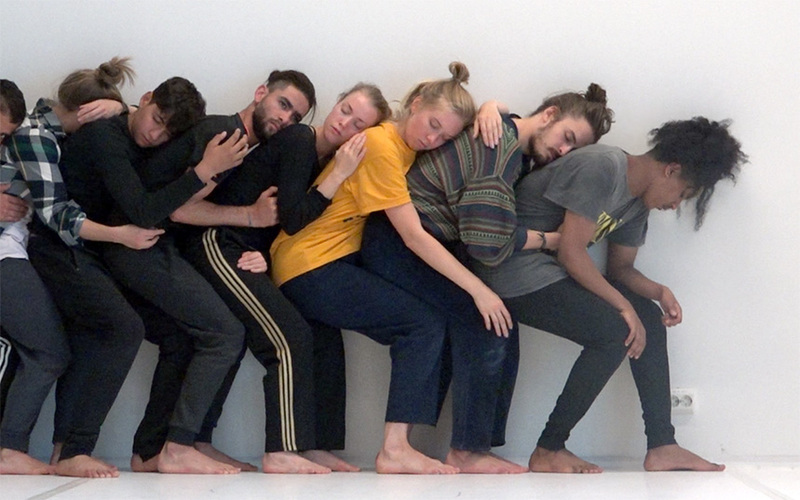 In 2019 the project will continue in Rovaniemi (Finland) and Luleå (Sweden) where it will take in the specific stories of each region and work with new local collaborators as well as the nucleus of performers that we will see on stage in Norway. Under andra världskriget brände nazisterna ner stora delar av Finnmark i Nordnorge och Norra Lappland i Finland, vilket innebar att många barn skickades till Sverige för att fly undan kriget. Nu händer samma sak igen, barn och unga flyr undan krig. Vi är därför mycket stolta att tillsammans med Lava Dansproduktion skapa möten genom dansworkshops och föreställningar, mellan nyanlända flyktingar, etablerade ungdomar samt äldre med egen erfarenhet av flyktingskap från andra världskriget, säger Marie Dahllöf, generalsekreterare för Svenska Postkodstiftelsen. Project idea: Solveig Leinan-Hermo, Marie Hermo Jensen and Benno Voorham. 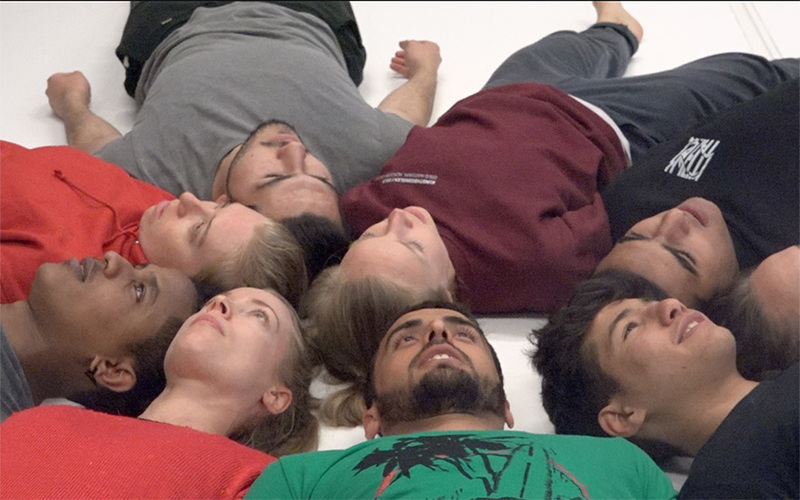 Dancers/performers: Gerd Kaisa Vorren (Norway), Sebastian López-Lehto (Finland), Moa Westerlund (Sweden) and Nadja Voorham (Netherlands/Sweden), Randi Simonsen (Norway), Odd Selnes (Norway), Ahmad Ziyadeh (Syria), Ahmed Takesh (Syria), Mohammad Khaled (Syria), Ahmed Ali (Sudan), Temesgen Gehbremariam (Eritrea) and Mahir Abdullrahman (Syria). Zubair Mangal (Afghanistan) and Ahmed Ali (Sudan) have participated during the workshop and production time in Hammerfest. ”Time witnesses” from the forced evacuation: Svea Andersen, Reidar Nielsen, Hans Edvard Bentsen, Thorbjørn Stenvoll, Odd Selnes and Randi Simonsen. The project is a co-production by LAVA-Dansproduktion www.lavadans.com (Sweden) and Stellaris DansTeater www.stellaris.no (Norway). 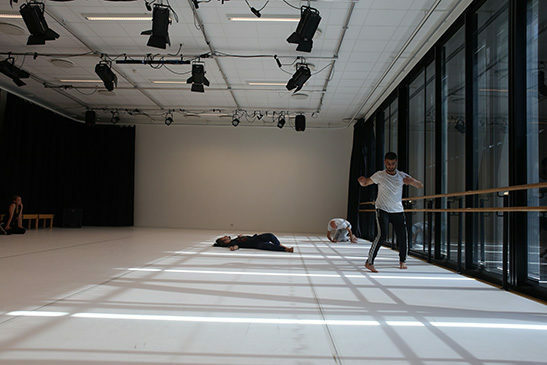 The project has received its main funding from the Swedish Postcode Foundation and Nordic Culture Fund. In Norway the project is also supported by our local partners in Hammerfest: Arctic Culture Centre, Culture School, Hammerfest Multiplicity, and The Museum of Reconstruction for Finnmark and Northern Troms.